In March 2017, Congress must vote to raise its credit limit to save America from a market meltdown. The U.S.A. is about to drive straight into a financial wall. Our lawmakers will blow through the current U.S. debt limit in March, which is currently set at an astounding $20 trillion. This could set off a chain reaction in the markets. Will your IRA be ready? The debt ceiling is our country’s legal borrowing limit set by Congress. Lawmakers have fought for years over when, whether and by how much the ceiling should rise. With political controversy currently at a fever pitch, it will be next to impossible to raise the limit in March without significant delay and obstruction. Delay and obstruction means that it could be less than a week or two before the U.S.A. starts defaulting on its debts. Remember the summer of 2011 when the U.S. Treasury almost defaulted on the debt for the first time in history? Luckily we pulled it out at the last minute. Americans and their retirement accounts can't afford to wait for a solution. With the markets at sky-high levels and companies at lofty valuations not seen since 2008 or 1987, March 2017 could deliver a heavy blow to the markets if the debt ceiling vote doesn't go picture-perfect smooth. The U.S.A.'s addiction to government debt is likely to be the biggest problem we ever face as a country. If you are close to retirement, the timing couldn't be worse. After months of media silence, the debt ceiling is in the news every day now, because March 15 is coming up faster than many investors realize. Our national debt is $20 trillion and climbing, which breaks down to approximately $60,000 in federal debt per U.S. person. It is just simple math any 3rd grader could understand: the more the government prints paper money, the less it’s worth over time. If you've been following our new President's economic agenda plans, you already know that there is little attention being paid to balancing or reducing the federal budget. The task is simply too big for any politician to solve now. Newly-appointed Treasury Secretary Steven Mnuchin now has his hands full to avert financial chaos and a severe correction in the markets. Hard to believe only 15 months have gone by since Congress last raised its credit limit to save America from a market meltdown. If gridlock over the U.S. debt ceiling happens, the next key event in a possible debt-ceiling crisis is the “x” date, when the special accounting measures are used up. After that, the U.S. Treasury could only pay bills with incoming revenue and would certainly be forced to default on some of its debts. That could cause the markets to crash, send interest rates climbing and cause massive economic dislocation. Past debt ceiling standoffs have caused U.S. borrowing costs to rise in advance of the “x” date too. Since 1940, there have been 95 measures passed to increase the debt ceiling. Every one has been more controversial than the last. Almost every one has been great for gold. It isn’t hard to imagine why, when the inevitable result of our nation’s debt addiction can only be the death of the dollar and the bankruptcy of our country. If you are counting on your IRA for retirement, you can't afford to wait. Now is the time to act, before the markets come down hard. Common sense says to diversify away from stocks and other paper investments and consider adding "safe-haven" assets like gold and silver to your portfolio. Owning physical gold and silver is the perfect hedge against uncertainty and protects you from the ravages of inflation and recession. A little-known "IRA loophole" allows investors to hold physical gold and silver in their retirement account alongside other investments like stocks and bonds. They still enjoy the same tax-deferred benefits along with a solid dose of extra peace of mind. Washington, D.C. is broken and the debt ceiling issue underscores the need to safeguard your assets. No politician or political party seems to have the courage to tackle our growing national debt. Don't let your retirement fall victim to the same fate. 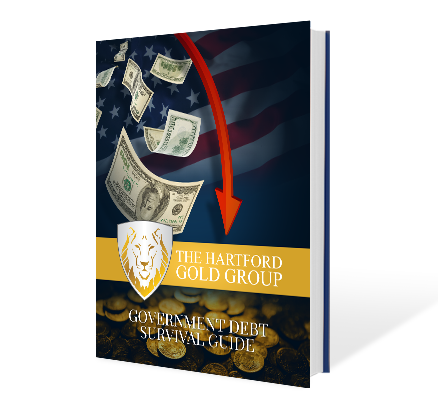 Read the Government Debt Guide to learn how your IRA might be at risk and the benefits of owning physical gold and silver in periods of rising uncertainty, hyper political partisanship and growing federal deficits. 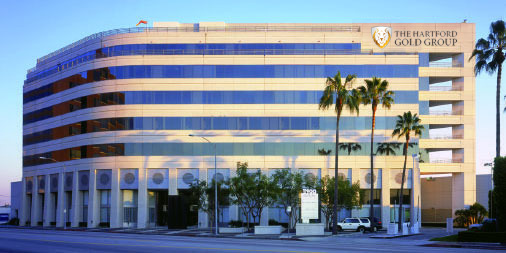 The Hartford Gold Group (HGG) is a family-owned company in Los Angeles, CA that helps individuals and families diversify and protect their wealth with precious metals. Through our website, publications and expert Product Specialists, The Hartford Gold Group offers a wealth of precious metals market perspective that empowers both new and experienced investors.